In this "Getting to Know" post, we spoke with TrustedPeer Expert Laura Goldzung. Laura is the founder and president of AML Audit Services, and she has more than 30 years of financial industry experience including AML compliance and training, and securities firm operations and management. Why did you decide to join TrustedPeer? The opportunity to join TrustedPeer presented itself through a colleague who is an adviser to the board. I thought it was a very unique opportunity because, as a service provider and consultant in AML, it’s hard to find the time to do develop consulting opportunities and get exposure to potential clients. TrustedPeer presented the prospect for greater exposure and added value to my practice. 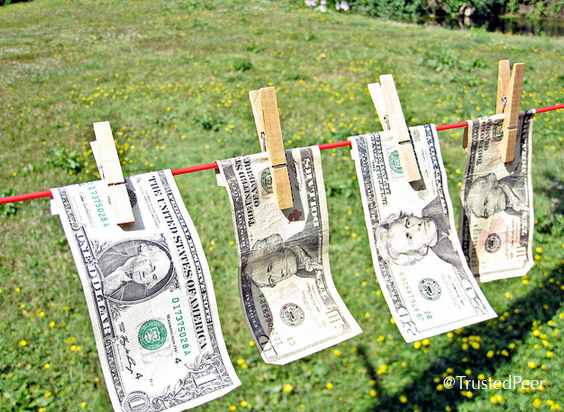 What are you most excited about in Anti Money Laundering right now? There are still many issues facing financial institutions with respect to AML that don’t seem to be going away. There is still quite a bit of challenge in maintaining required compliance. What I’m most excited about is that more and more people are getting into the field, and more of the financial institutions are getting better educated about AML compliance. It’s exciting to work with unique, emerging companies and platforms. It’s always a new day in AML. How has technology changed AML? Technology enables AML compliance, but it’s not the only enabler. A hybrid activity between automation, technology, and human skill is required. You can’t replace human skill with technology. You need to have the competencies to leverage what the technology tools and the advances in technology bring to the practice. For example, if you’re a large bank, you likely have many tools you use to monitor transactions and there are different facets to each transaction. There are many smaller companies that don’t use AML systems and instead use manual processes. Technology is exciting and enabling, but it requires human intervention. Can you tell us about an “aha” moment in your career? My first aha moment was when a new client called me again for new services. Beyond that, my “aha” moments manifest as more of a sustained stream of learning for me and for my client base. I do a lot of teaching, and there are plenty of moments when something just clicks for those audiences. Where do you predict the future of AML going? It’s just going to get bigger and bigger. There’s opportunity for an organic expansion in that there are new industry sectors that will be subject to AML compliance. Some already perform it as a best practice, and there are a couple of new sectors that will be facing a requirement to implement a program. There are also new and emerging products like Bitcoin and emerging issues such as marijuana dispensaries that come with a lot of controversy. There are many payment processor companies who now include AML compliance as a best practice because their bank and other partners may feel more comfortable if they have a program in place. All in all, AML is evolving rapidly. To read more about Laura’s area of expertise or to book an Expert Session, visit her Meet The Expert page on our site. This is the first in a series of “Getting to Know” posts that feature one of our TrustedPeer experts discussing developments in their area of expertise. We’re kicking the series off with Steven Feinberg, who has over 20 years of experience consulting with clients in need of outsourced manufacturing worldwide, including from China, Taiwan, South Korea, Poland, Israel and the U.S.. Although my companies, SF Global Sourcing and SF Video, are sourcing and manufacturing companies, a lot of companies that work with me aren’t buying in large volumes; sometimes they just want to pick our brains. So TrustedPeer, being a consultancy company, is another way for me to commoditize this knowledge. What are you most excited about in sourcing and manufacturing right now? I’m really excited that manufacturing is coming back to the USA. With labor rates in India and China rising, the US is becoming more competitive, and creating predictions of insourcing. And the flip side to this is that I’m not excited about China becoming less competitive, because I source so much there. China has invested so heavily in their infrastructure, the quality and consistency of their goods has risen over the years. But with this quality increase, the costs have increased. So you get what you pay for. 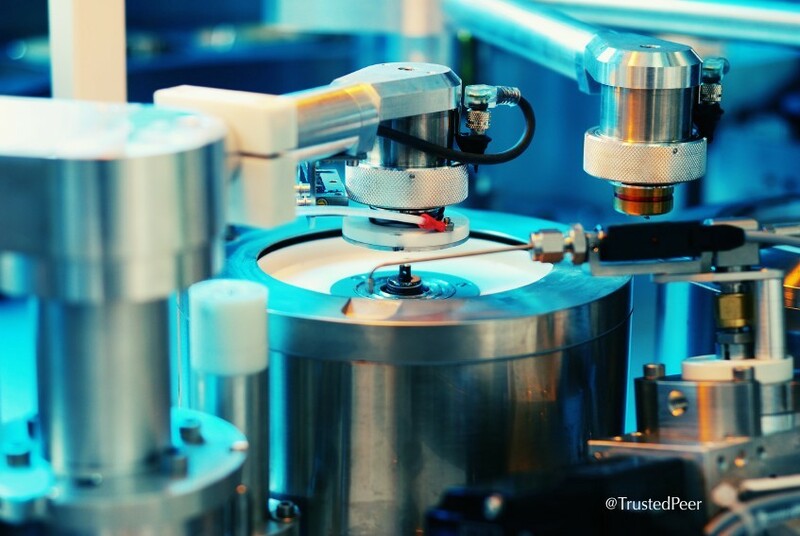 How has technology changed manufacturing and sourcing? It has really increased communication. I can Skype or hop on a call with China in real time now. So as long as I’m okay staying up those hours, I can get so much more done internationally in real time. Also, I’ve noticed a lot of people talking about the Industrial Internet lately. The Industrial Internet is a term GE coined that refers to the connection between physical machinery and software, and the data that this connection serves up. I can see this trend being transformative for manufacturing in general. In my own day-to-day work, I’m particularly interested in seeing how my customers utilize the video distribution platform I provide. I think it's just as interesting to sift through individual data around product features as it is to sift through the big data that the Industrial Internet can provide. The idea being that your next generation product can fulfill needs that the feedback and data surface. Can you tell us about an “aha” moment in your career/work? When I figured out that my main function as a manufacturer is to translate what’s in a product developer’s mind into a real life object. This realization led to us creating a more rigorous process called the WOW process, which standardized our approach to translating a product creator’s vision into reality. It’s an iterative process that allows me to take a vague statement from an inventor or product creator like “I need a DVD, you know what I mean…” and turn it into a physical product. This process that become my core expertise, and a part of my company’s DNA. If you had a crystal ball, where would you predict the future of Manufacturing Strategy/Supply Chain going? There’s a continual pendulum swinging between manufacturing your own product and outsourcing it. I see the future as more of a hybrid approach where companies are manufacturing their core product, and then outsourcing ancillary goods. Each company will need to create their own criteria for what makes sense here, but this is the gist. To read more on Steven's manufacturing expertise or to book an Expert Session, visit his Meet The Expert page on our site. Are Quality Certifications A Waste Of Time? TrustedPeer & TrustedPeer Expert Dave Summa mentioned in January 2015 Fortune article. Tom Brady and the Patriots: Deflating their Brands?